We had a blizzard this week! We got over 11" of snow that blew into drifts over 4' tall at my house. It made getting to work (or anywhere else, for that matter) impossible and resulted in a... wait for it... SNOW DAY! 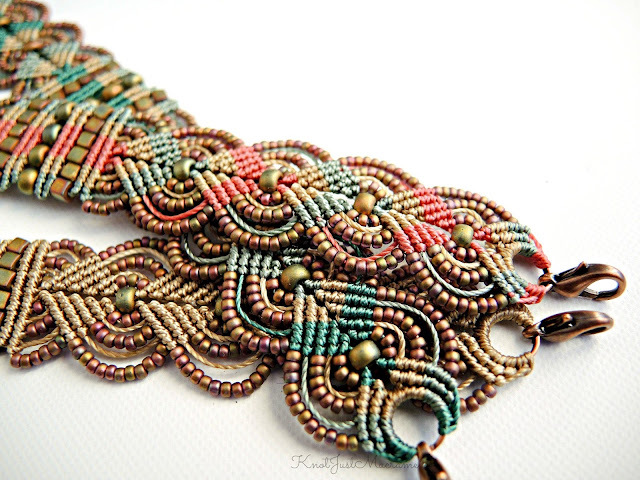 I was perfectly content to stay in and watch movies while working on micro macrame bracelets. I caught up on the 2016 remake of War and Peace and watched Dr. Zhivago and got three bracelets mostly finished and another one started! 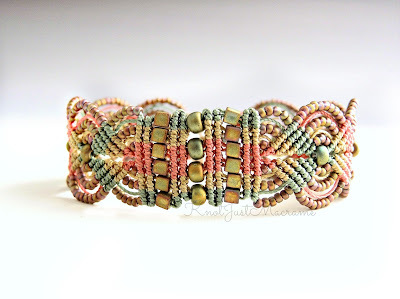 The bracelets I made all have the same beads (matte metallic khaki iris) and khaki cord. The first one was solid khaki cord, then I tried adding in a couple shades of green. Which led to trading out the deeper green for a coppery pink cord. And then that led to switching out the green for a deeper pink. That led to switching out the lighter pink for the deep green. All in all, I consider it a most excellent snow day. So tell me, what would you consider the perfect snow day? The best snow day is when someone else does the shoveling! I love all the versions of your bracelet. 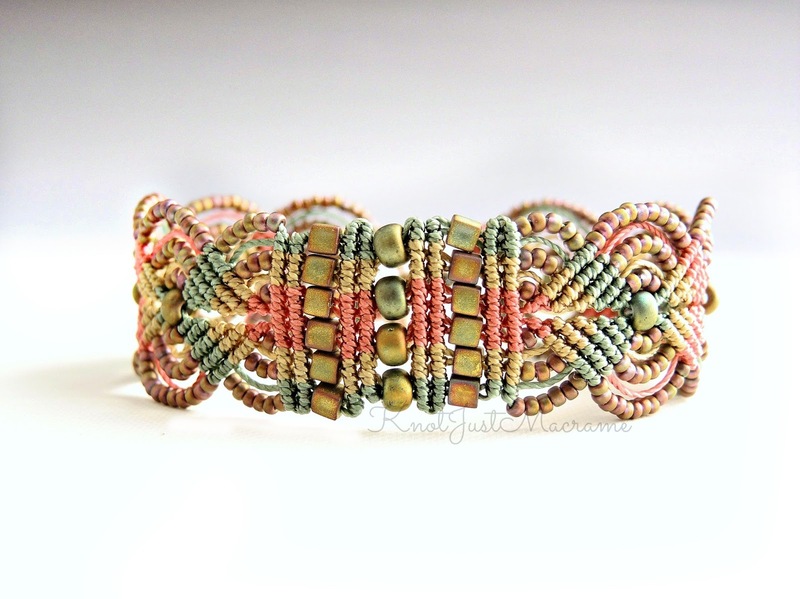 Khaki Iris is one of my favorite bead colors too. The version with the pink cords makes the beads looks so pink! I'm going to have to try combining pink with those beads.